First, I must apologise for the awkward angle of the pictures you are about to see. 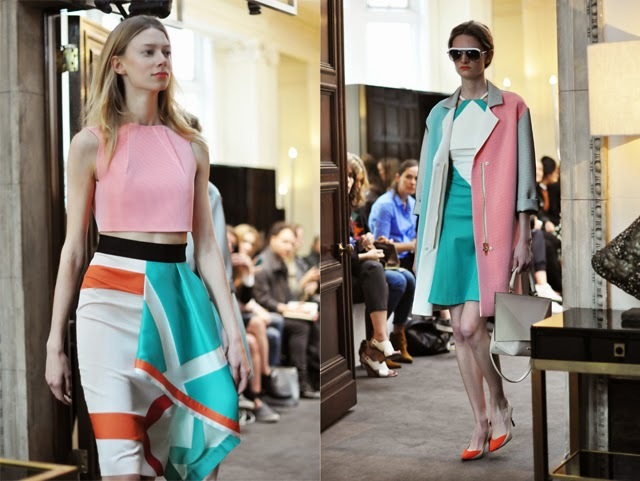 They, sadly, do not do Roland Mouret's collection justice. I was photographing around a table to get decent shots, hence the awkward angling of all the models in motion. 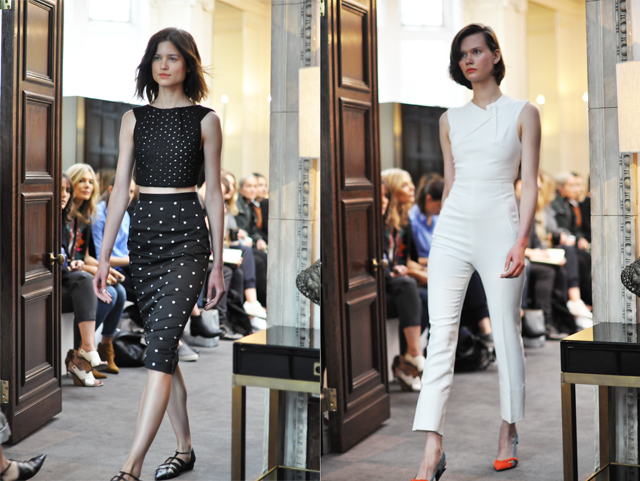 If you can look past that, you'll see a fantastic resort collection for 2015 from Roland Mouret that showcases all the staple shapes he is famous for with a few surprising silhouettes thrown in for good measure. 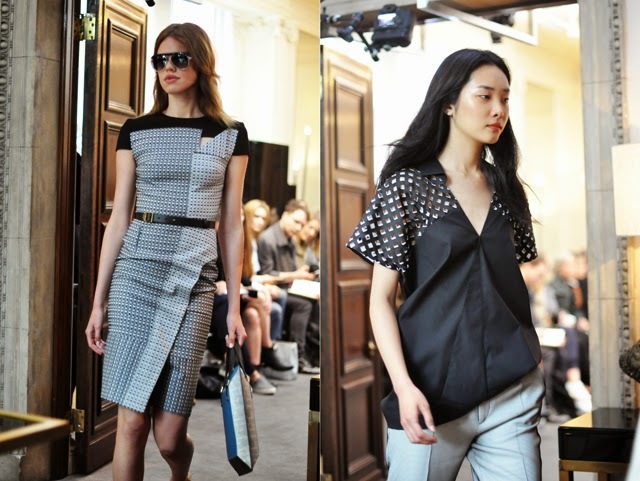 While the majority of the collection was bright and beautiful, as one would expect from resort wear, there were a few melancholy black moments on show. And you know what? We loved them. All in, there were a number of different themes showcased in a tight collection. It was an absolute pleasure to be front and centre to watch it all unfold. 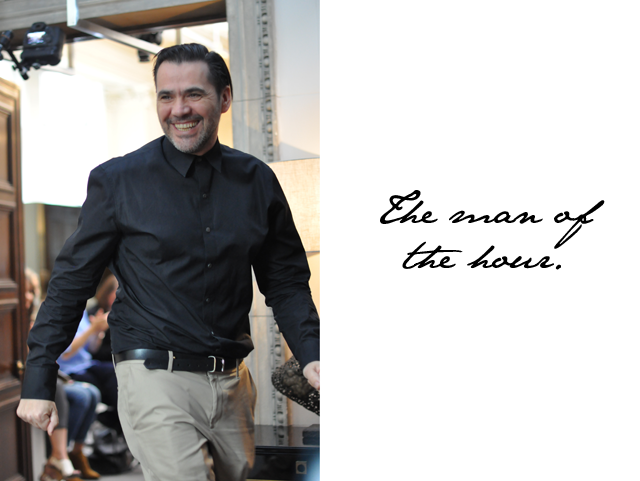 Congratulations, Mr. Mouret, and thanks for bringing the spotlight back to London.